Buy a property in a truly up and coming area, and you could be a hundred thousand pounds richer in just a couple years. Yet, in some areas described as “up-and-coming”, it will take decades for property prices to rise significantly. So how do you tell the diamonds from the duds, and spot a really profitable area for investment? Gentrification, or the process of going from backwater to boom town, happens more quickly in London than anywhere else in the UK. London’s up and coming areas aren’t exactly secret – prices in Hackney and Dalston famously rose by 17% in just one year in 2013. Walthamstow is the new word on the lips of investors as young families and media professionals escape to E17. Our top tips for a wise investment in London are Clapton and Lower Clapton – while still more affordable than Hackney Central and Dalston, these areas are now teeming with posh eateries – read on to find out more about that. Independent coffee shops and delis with chipboard tell you that people with higher levels of disposable income are starting to move into an area. The key is to look for these eateries starting to emerge in a locale that previously only had chicken shops and greasy spoon type cafes. The Chipboard Index is closely related to the Cupcake Index – look out for artisan bakeries and patisseries, and of course, anywhere serving stone baked pizza or craft ales. If an area already has a Starbucks or Costa, it’s probably sold out to some extent and will be expensive, without the dramatic growth potential you’d see in a truly up and coming area. The exception here is central London, where we’re seeing pronounced price rises regardless of gentrification – at least for the time being. 3. Does it Have the Basics? Though chipboard coffee shops are nice to have, ultimately the well-off families that move into an area and spur price increases are going to be looking for a place with good access to amenities. Look for areas that have nearby supermarkets, schools, train stations, and motorway junctions. Even better, are such amenities planned for this location in the next two years? If the area currently has limited transport links, but plans are in place to add a tube/train station or better road access, then this could be a prime area to buy property as an investment. We’re all familiar with the phenomenon of those who live in one area and claim it’s actually part of a more desirable area. For example, those living in Camberwell might prefer to call it East Dulwich, and Finsbury Parkers may say they live in Islington. But does this make any difference to house prices? Well, if your target area is within easy reach of a desirable area, say within walking distance or one stop on the train, it’s likely to be “up and coming” by association, and could represent a wise investment. It’s easy to have a quick Google and figure out how many estate agents an area has in comparison to its neighbours. Again, it’s worth noticing when these start to pop up in areas that were previously not so hot. Estate agents research their locations and open in areas that seem as though they will become very desirable within a couple of years. 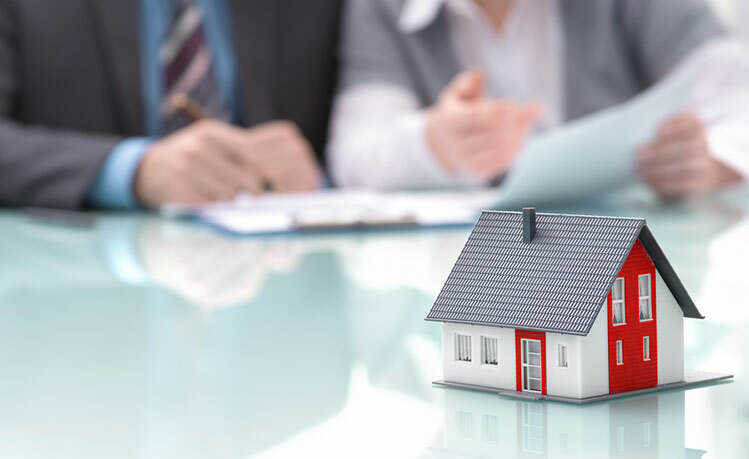 Obviously, expensive, established areas will have lots of estate agents too, but combined with the other tips in this article, the estate agent index is a good sign that you’ve spotted a truly up-and-coming area.